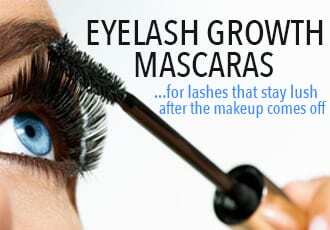 Not all eyelash growth products do what they claim to do – provide significant eyelash growth. That’s because most of them do not contain a prostaglandin derivative, like NutraLuxe Lash MD. As of now, NutraLuxe is one of only three lash growth serums that are capable of taking your lashes from short and average to near-Snuffleupagus proportions. 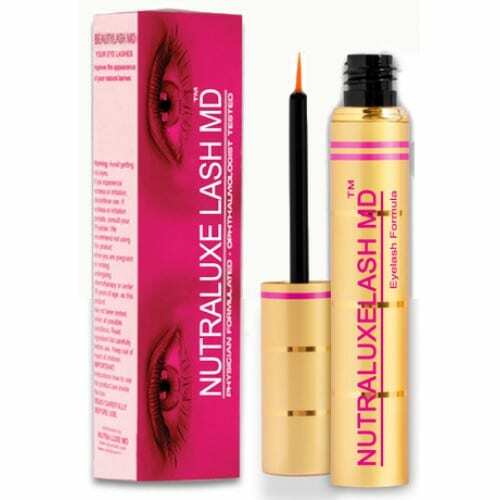 NutraLuxe Lash MD is made by Nutraluxe MD, a US-based company with a global reach. 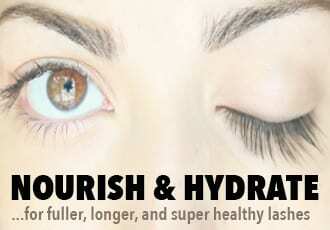 Their eyelash growth serum was formulated by physicians and is ophthalmologist-tested for safety. The formula contains advanced peptides, vitamins A, C, B3, B5 and E, and botanical extracts like panax ginseng and grape seed extract to nourish eyelashes so they can grow stronger and healthier. But what really separates NutraLuxe Lash from most eyelash growth products is that it also contains a prostaglandin analog – Prostaglandin I.C. – which is the ingredient responsible for causing significant eyelash growth. It works by stimulating the growth of more new lashes that are longer, thicker and stronger. The result? A much fuller, darker and gorgeous fringe of lashes. Water, Glycerin, Hydrolyzed Glycosaminoglycans, Sodium Hyaluronate, Panthenol (vitamin B5), Vitis Vinifera (grape) Seed Extract, Sodium Lactate, Panax Ginseng Root Extract, Proline, Yeast Extract, Phenoxyethanol, Chamomilla Recutita (matricaria) Flower Extract, Hexipeptide-11, Niacinamide (vitamin B3), Palmitoyl Pentapeptide-4, Arcyostaphylos Uva Uris (bearberry) Leaf Extract, Magnesium Ascrobyl Phosphate (vitamin C), Retinyl Palmitate (vitamin A), Tocophyerl Acetate (vitamin E) Methylamido Dihydro Noralfaprostal, Polysorbate 20, Hydroxyethylcellulose, Sorbitol, Triethanolamine, Prostagladin I.C. How Long Does NutraLuxe Lash MD Take to Work? NutraLuxe says it takes around 4 to 6 weeks to see a 30% to 50% improvement in fullness, length and thickness. And whereas you will start to notice eyelash growth in about 6 weeks’ time, it does take a few weeks longer to see the full effects of this lash serum. 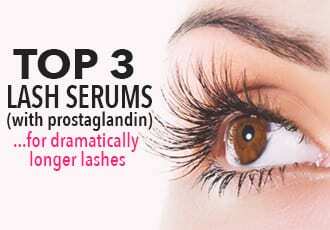 That’s because prostaglandin analogs work by stimulating the growth of new lashes. The average, natural lash growth cycle is around eight weeks so it will take at least two months before your new, longer, thicker lashes have totally grown in. At the same time, your old lashes will be falling out and there will be new, NutraLuxe-influenced lashes starting to grow in. So it will be around the third or fourth month that you’ll see the full results of using NutraLuxe. Does NutraLuxe Lash MD Have Side Effects? NutraLuxe Lash MD differentiates itself from most lash growth serums because it actually works, thanks to the prostaglandin ingredient. But anything this effective has both positive and negative effects. Prostaglandin analogs can cause side effects such as eye irritation, itching, eye pain, and darker pigmentation around the eye – all of which are reversed if and when you stop using the product. You should also be aware that darkening of light-colored eyes is a potential permanent side effect of prostaglandin analogs. It is a rare side effect, but a permanent one if it occurs and as such, I do not recommend eye serums containing prostaglandin ingredients – even ‘though they are highly effective for significant lash growth – to people with light-colored eyes. I know you should never judge an eyelash growth serum by its cover, but I sort of fell in love with NutraLuxe’s looks. This serum comes in a luxurious-looking golden tube with bright pink lettering that I couldn’t wait to add to my makeup collection. The serum also comes in 3 sizes: 1.5mL, 3mL, and 4.5mL – I opted for the largest size since it was still much cheaper than Latisse (the largest bottle is $80) and I knew from trying prostaglanin-containing products before that it takes around 3 months to see the full results so getting the 4.5mL tube (which lasts around 3.5 months) made sense. The very pretty golden tube comes with a tiny brush tip for easy application and for the first few days, I applied a generous portion to my lash line thinking it would speed up the growth – don’t do this. My eyes were slightly itchy and reddish due to the serum leaking into my eyes. You really only need a very tiny bit of the serum – as in, pull the brush tip out, lightly scrape it on the top of the tube to get rid of excess serum, and then gently brush it onto the base of your both your lashes. That is really all you need – don’t drench your eyes. There’s no fragrance or alcohol in this formula so as long as you make sure you don’t overdo it, it’s not irritating at all. The redness and itchiness went away as soon as I started applying less than I thought I needed. It took around one month for me to start noticing results with NutraLuxe. Several of my lashes were growing longer than the others and it looked like I had more lashes. I also had more curl to my lashes, especially toward the ends of my eyes. But it was only after around two months that I really started noticing that my lashes were thicker, fuller, longer, and curlier. They looked almost unruly. Other people started commenting, especially when I wore mascara. The thing about NutraLuxe is that it didn’t result in massive lash length like Latisse (with which my lashes grew to impressive proportions), but it did definitely make my lash line a whole lot more bountiful. Lashes grew longer, thicker, and much more plentiful with this serum. So all in all, I’d rate this product as very good. It’s affordable, you don’t need a prescription for it, it’s not irritating at all (as long as you don’t drench your eyes with it) and although it does take awhile, you’ll definitely see satisfying eyelash growth with it. Get it here!